When I was in middle school there was an event called ‘Cavalcade of Authors,’ where Middle Grade and Young Adult authors were brought to the Tri-Cities to teach kids writing techniques and such. It was one of the first ‘writer’s conferences’ I ever went to, and I was committed to going every year. But, to get a ticket to attend, you had to read books from at least four different authors coming. Naturally, when I saw that one of the books was laced with zombies and horror, I immediately went and read it first. 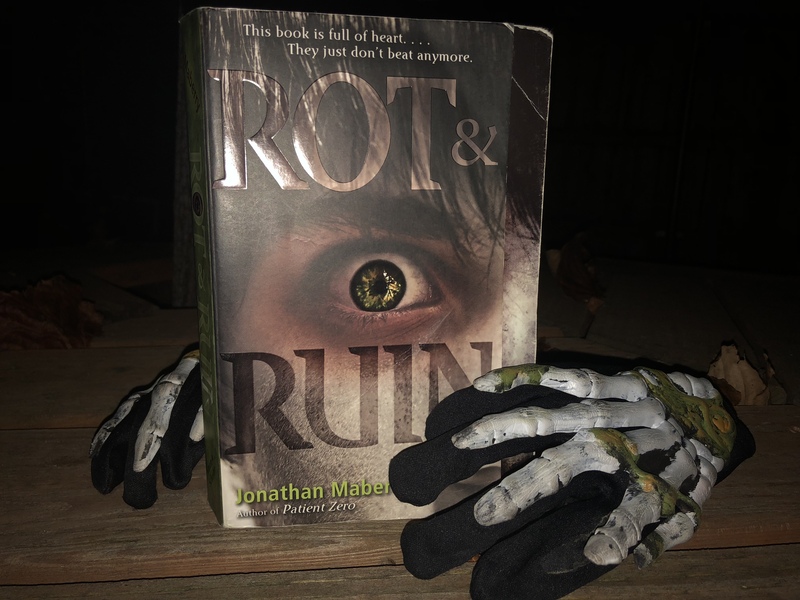 Rot & Ruin follows Benny, the teenage protagonist, as he tries to get a job, any job, in the zombie apocalyptic world he lives in. Well, any job besides becoming a zombie killer. Which, naturally, is the job he is forced to accept when he fails at everything else. It was several years ago when I read it, but I still remember the feelings of terror I had when the zombies broke through the town’s barrier and Benny had to confront one in his own home. I also remember that I was on the brink of tears at the very end when Benny and his older brother had to face their worst fear. Even that, however, is not what has stuck with me for so long. I remember lying awake in bed for a solid week after I finished the novel thinking about zombies breaking into my own home in the middle of the night. With the way my bed was positioned, I could see the door leading out of my room to the right, and a wall to my left. I would lay on my side facing the wall, but I would think, “But, what if a zombie walks into my room while I’m sleeping? I want to see it coming.” So, promptly, I would turn so I was facing the doorway. “But…what if the zombies are strong and break right through the wall?” I asked myself. So, I again would flip around, and I repeated this routine over and over again for quite some time. Finally, I came up with a remarkable solution; if I slept on my back, I could see the zombies no matter what way they were coming. I still sleep on my back today. Guess I will always be ready for zombies. Overall, a fantastic read. It taught me the importance of family, looking up to the right people, and maybe, just maybe, gave me hope to survive the zombie apocalypse because I sleep on my back.